Discover QUIET URBAN LIVING of HUNTERS HILL – one of Mustang‘s nicest neighborhoods. Located just south off SW59 on Garth Brooks/Clear Springs. The neighborhood is tucked away from the busy city life yet offers quick commute to anywhere in OKC Metro. Close to Hwy 152, I-44 and I-40. 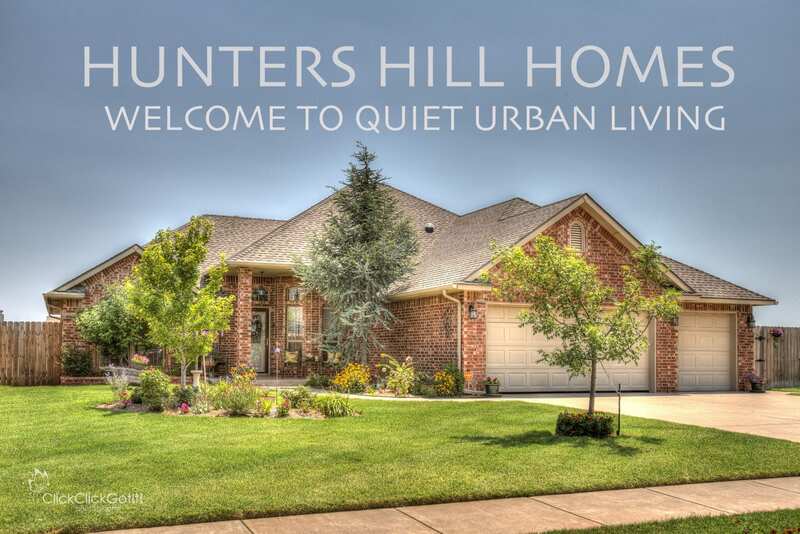 Hunters Hill – a well established neighborhood with active HUNTERS HILL HOA. 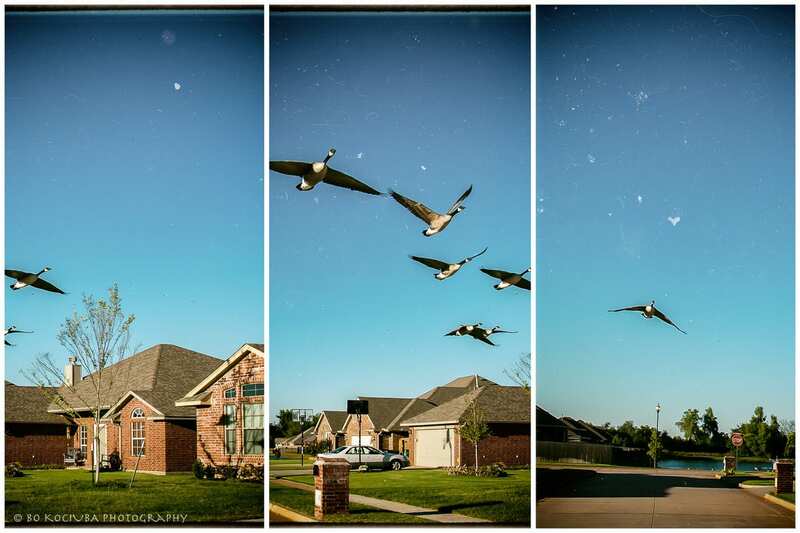 Residents might enjoy watching wildlife by the large neighborhood pond. Some are fishing and others admire spectacular Oklahoma’s sunsets. Find more information about this beautiful neighborhood HERE. MUSTANG HOMES - 536 N BUCKHORN WAY - HUNTERS HILL was built by OK’s oldest building firm, Leonhardt/MANCO HOMES, since 1907. This builder delivers QUALITY, VALUE with lots of AMENITIES. THE HOUSE IS ENERGY EFFICIENT. Comes with 1 year builder’s warranty and 10 years structural warranty. Hunters Hill is located in highly rated Mustang Public Schools District with Mustang Broncos leading charge. New home still under construction comes with full fence, gate and covered back patio - perfect addition for barbecuing or relaxing. Masterfully executed floor plan with no wasted space. OPEN CONCEPT LIVING with tall ceilings, crown moulding and ceiling fan. Corner bricked woodburning and gas fireplace with rock accents and wood mantel. Above mantel there are two outlets for TV-electrical and cable. Lots of natural light from windows overlooking covered back patio. Neutral color carpeting. Lots of space to arrange comfortable living room furniture. Open entry hall with ceramic tile with chandelier and a closet. All stainless steel appliance include gas stove, microwave, dishwasher and sink with food disposal. All cabinets are solid wood custom built for this house. Pantry for extra storage! GRANITE covers all kitchen countertops. Backsplashes are finished with tumbled marble. Lots of storage and electrical outlets. Recessed lighting helps with kitchen tasks. Nice size master bedroom with vaulted ceiling with ceiling fan. Walk in closet offers lots of space with built in shelves and rails. Window above jetted tub brings lots of natural light. Faux marble vanity with double sinks, ceramic tiled walk in shower and ceramic tiled floor. 4th bedroom has French doors, wood planked floor and might be used for an office/library/computer room.